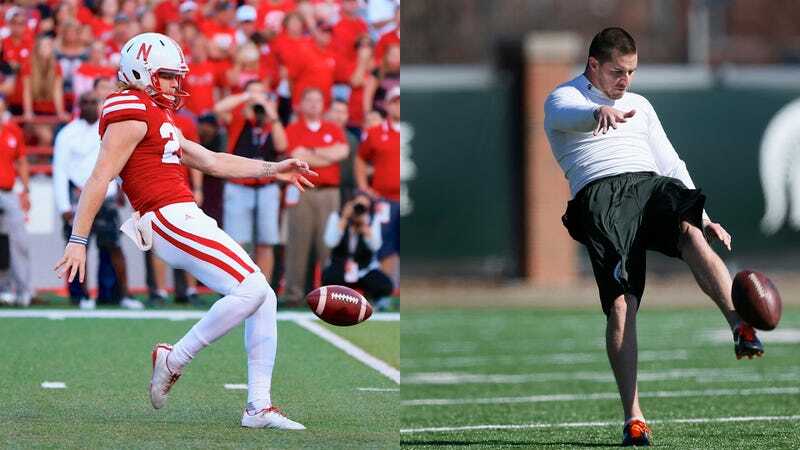 Nebraska punter Sam Foltz and former Michigan State punter Mike Sadler are dead after an an auto accident this weekend in Wisconsin, where the pair were attending a weekend kicking camp. Foltz was the reigning Big Ten punter of the year and among the favorites to win this season’s Ray Guy Award; Sadler, who was driving, graduated from MSU in 2014 after becoming the Spartans’ first-ever four-time Academic All-American. He was scheduled to begin classes at Stanford Law School in the fall. Also injured in the crash was passenger Colby Delahoussaye, a senior placekicker at LSU. The Lincoln Journal-Star reports the accident happened amid torrential rainstorms in the area.